The term ‘macro’ was first used in economics by Ragner Frisch in 1933. But as a methodological approach to economic problems, it originated with the mercantilists in the 16th and 17th centuries. They were concerned with the economic system as a whole. From the 18th century physiocrats to modern economists have contributed to the development of macro economic analysis. But credit goes to Keynes who finally developed a general theory of income, output and employment in the wake of the great depression. Macro economic is concerned with aggregates and averages of the entire economy. Such as national income, output, total employment, total consumption etc. In other words, macro economics studies how the aggregates and averages of the economy as a whole are determined and what causes fluctuations in them. From the theoretical reasoning and on the basis of empirical reasoning and knowledge the old assumption of full employment is not valid and therefore, it is very vital that we should investigate how these aggregates are determined and how to ensure maximum level of income and employment. "Macro economic theory is the theory of income, employment, prices and money". "Macro economics is that part of economics which studies the overall averages and aggregates of the system". "Macro economics is the study of the forces of factors that determine the levels of aggregate production, employment and prices in an economy and their rates of change over time". Prof. Gardner Ackley defines, macro economics thus: "Macro economics itself with such variables as the aggregates volume of output of an economy, with the extent to which its resources are employed, with the size of national income, with the general price level". It is evident from the above definitions that the subject-matter of macro economics is to explain what determines the level of total economic activity, that is, the size of the national income and employment and fluctuations in it in the short-run. It also explains what causes the general price level to rise and determines the rate of inflation in the economy. 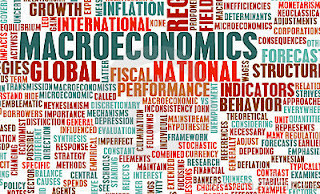 Macro economics deals with how an economy grows, it analyses the chief determinates of economic development and the various stages and process of economic growth. The problem of increasing productive capacity and national income in the long run. The problem of increasing productive capacity and national income over time is called the problem of economic growth. Thus, what determines rate of growth of an economy is also the concern of macro economics. 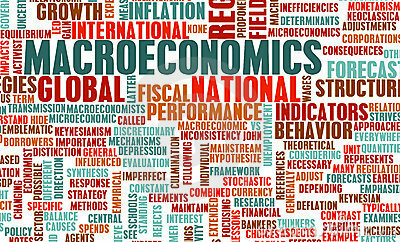 The justification of a separate macro approach to the study of several economic problems lies in the fact that micro approach is not only inadequate but may lead to misleading conclusions. In economics, what is true of the parts is not necessary true of the whole. After all, the problem of the aggregates is not merely a matter of adding or multiplying what happens in respect of the various individual parts of the economy. It may be quite different and far more complicated than a mere summation or multiplication.